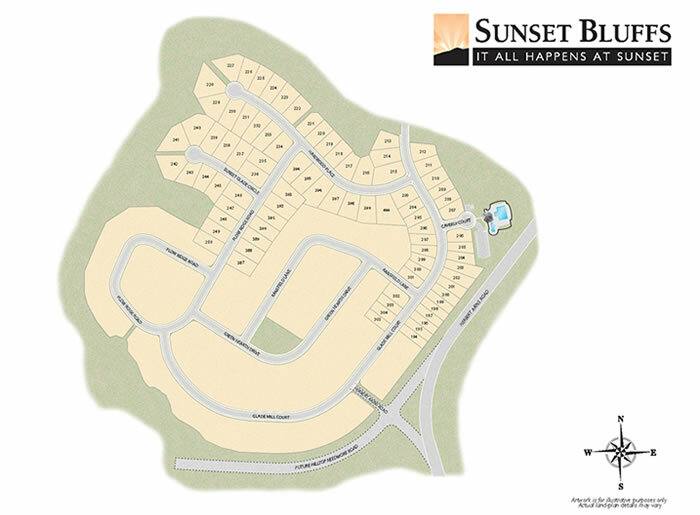 Sunset Bluffs is the newest addition to join the "family" of Sunset neighborhoods in the highly desirable Holly Springs / Fuquay-Varina area of southwest Wake County. 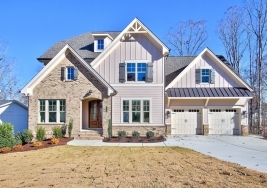 Just like its sister neighborhoods - Sunset Ridge, Sunset North, and Sunset Oaks - the Bluffs offers an array of beautiful new homes constructed by some of the finest builders in the Triangle region. 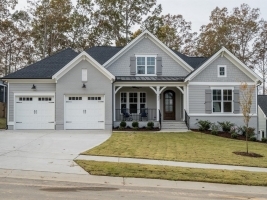 These homes are sited along winding, tree-lined streets and sidewalks that are thoughtfully designed to create a pedestrian-friendly environment.